Popular tech gaming firm Razer have decided to surprise us this time with their first ever gaming phone called the Razer phone. 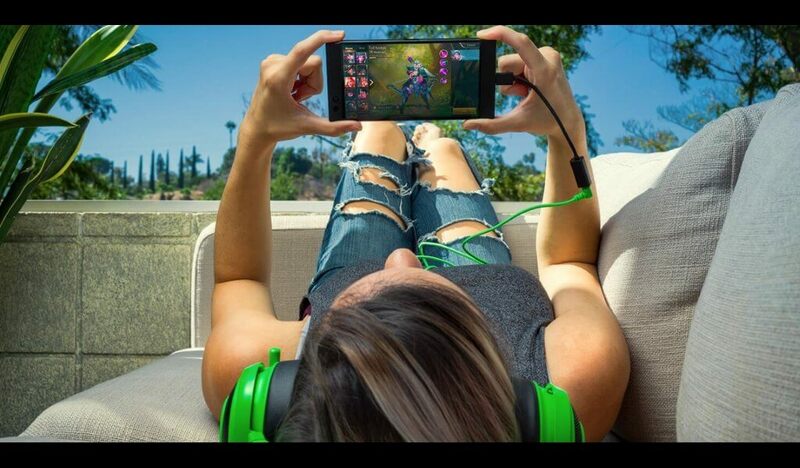 The Razer phone according to razer is a fully loaded gaming device exclusively designed and dedicated to gamers. 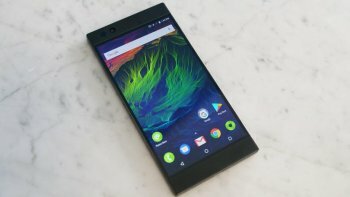 The Razer phone was born as a result of Razer’s purchase of a startup smartphone maker called nextbit about few months ago. 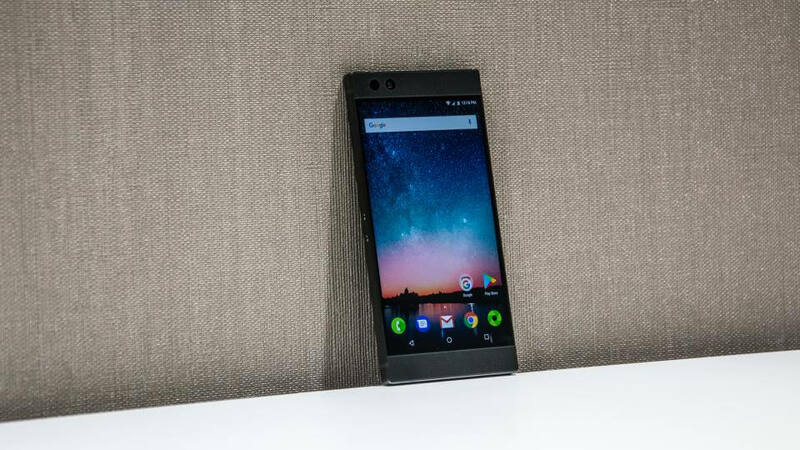 The Razer phone has some high-end features you just can’t ignore in 2017. The Razer phone boost a 5.7-inch LCD display with powerful front-facing stereo speakers, 12MP rear and 8MP front facing camera, android 7.1.1 OS with an expected upgrade to android 8.0 oreo in 2018, 4000mAh battery capacity, a game booster app, snapdragon 835 chipset, a massive 8GB RAM, 64GB internal storage which can be expandable to as high as 2 terabyte via micro sd card. The Razer phone also comes with a mind blowing 120GHz refresh rate which is the first ever on a smartphone. Razer knowing very well that gamers fancy display alot didn’t disappoint her fans when it comes to the display of the Razer phone. Even though Razer decided to choose LCD over the trending AMOLED display, the display experience on the Razer phone isn’t bad at all, infact it is one you are definately not gonna find on any smartphone in Nigeria in 2017 period. The display features of the Razer phone include a 5.7-inch LCD IGZO QHD (1440 x 2560) with an optional change over to full HD (1080p) for more battery life and performance. The Razer phone also has a clear, crisp and colorful picture and video display which is massively protected by a gorilla glass 3. There is also an optional refresh rate of 60Hz, 90Hz and 120Hz, the 120GHz refresh rate has up to 120fps which is ideal for 3D gaming in Nigeria. The design of the Razer phone is on a league of it’s own. This phone look’s very much like the “nextbit robin” you have seen in Nigeria. The built quality and industrial design of the razer phone is also unique as well, it has the same finishing touch as other razer products you have seen in Nigeria before. The Razer phone has a boxy design which don’t seem to be or look like a 2017 smartphone when compared with samsung galaxy S8 and iphone X (i was expecting to see little or no bezels on this phone). 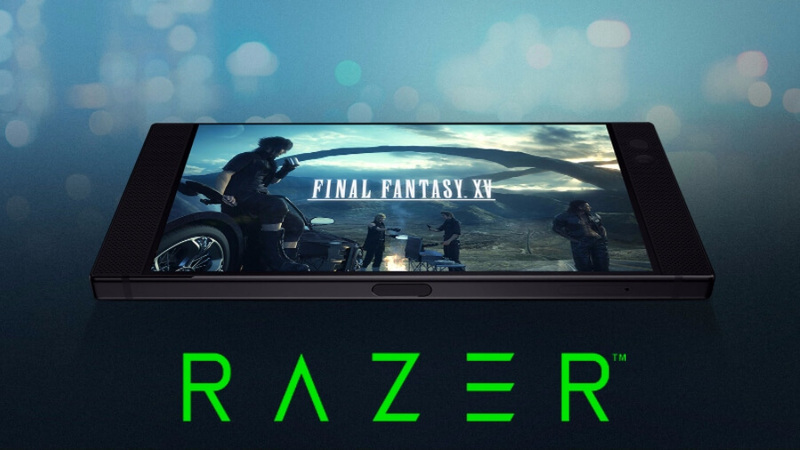 I Think Razer deliberately left the large bezels on the top and buttom of the razer phone simply because they want gamers to have a nice hand grip while gaming. The Razer phone is 8mm thick, weighs 197g and feels alittle bit bulky when held in portrait form. The power/lock button at the middle of the razer phone also act as the fingerprint scanner while the two small circular button on the opposite side of the power button represent the volume control buttons. At the buttom, there is a USB-C port with no headphone jack to compliment but rather an audio adapter with a built-in-24-bit DAC with dolly atmos support. 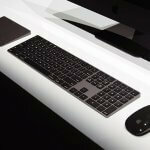 Razer decided to include fanless cooling technology to help prevent Over-heating and also allow gamers in Nigeria have fun when playing their favourite games for as long as they want without expecting the phone exceed just being worm. I am going to be focusing on two key factors here. Talking about speakers; the razer phone currently has the best set of speakers on a smartphone in 2017. The dual front-facing amplified speakers is unargueably outstanding, it produce excellent, loud and clear quality sounds that you might just stop using your google home player when this phone arrive your home in Nigeria. If you love to play music with your phone, you are definately going to smile at the speakers of the Razer phone particularly when you listen to the audio sounds. Each speaker has an amplifier which have already been tuned to Dolby Atmos standard. The Razer phone also has the first set of speakers to be THX certified. It is indeed a speaker gamers would appreciate alot considering it’s ability to provide room-occupying sound with no distortion. The battery strength, screen display and quality audio sounds of the Razer phone makes it’s very convenient and suitable for movies and music entertainment. With the large QHD display on the Razer phone, you are sure of watching films, TV shows and music videos with smooth blur-free motion. 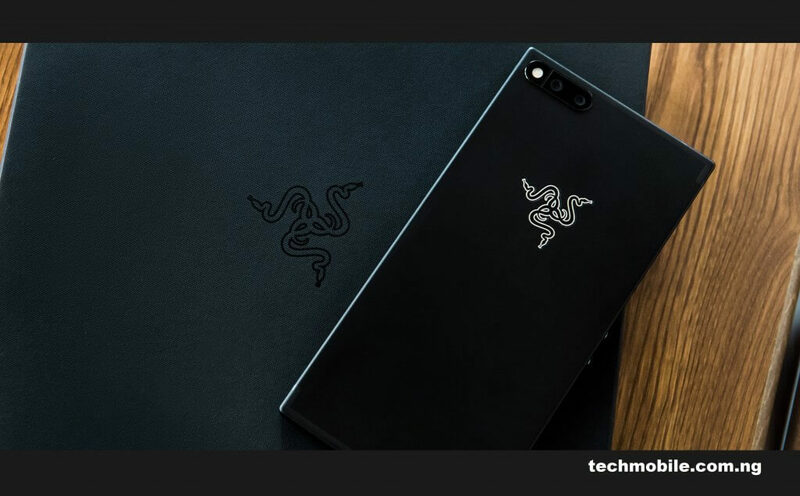 The powerful set of speakers on the Razer phone also play a vital role in enhancing the video and audio experience for Razer fans who are likely to buy this phone when they arrive Nigeria. Gaming is the number one pride of the Razer phone, it is in fact the most interesting part of this phone. 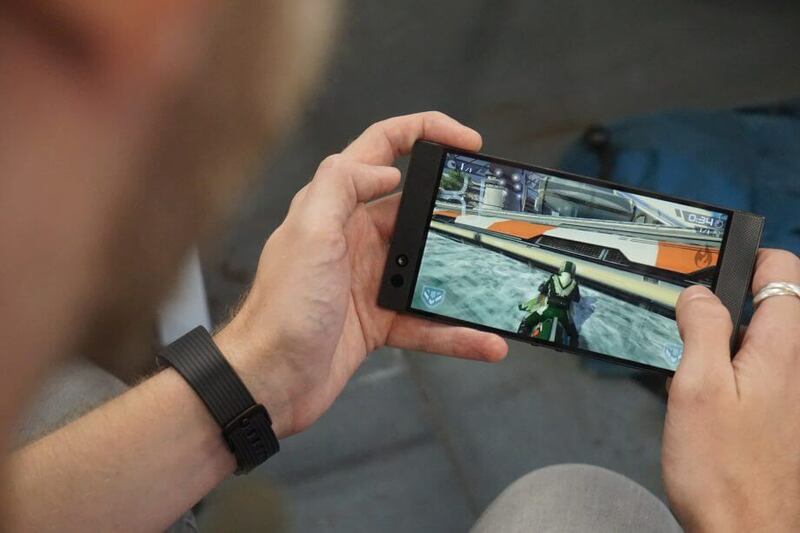 The Razer phone is currently the only phone pushing mobile gaming to the very front. The razer phone which was launched alongside some new exciting games like the final fancy 15, arena of valor, legends & tekken and shadow gun, they are all going to be available for download in 2018. You are likely gonna find games like Arena of Valor, titanfall assault and world of tanks when unboxing and setting up the Razer phone. Gaming experience on the Razer phone is even more fascinating with the game booster app coming into the scene. 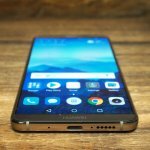 This app have great customization options; one of which is the ability to adjust the frame rate on any game you desire to play, you can now choose between 60hz, 90Hz or 120Hz frame rate. There is also an optional custom feature of adding and removing games on the game booster app. You may not really appreciate the need for the game booster app till you activate the do not disturb while gaming mode (the do not disturb prevent notifications from interrupting your gaming section). The Razer phone boosting a 4000mAh battery capacity is absolutely not a bad start for a gaming phone. The battery of the Razer phone has one of the largest power pack i have seen on a smartphone in 2017. The battery life of the Razer phone is sure to last for a full day on general usage and a day and half on careful usage. Setting the refresh rate to 60Hz and 90Hz is not as power consuming as the 120Hz, changing the refresh rate to 120Hz mean lower battery life which is likely not gonna last for a day. The cpu speed and screen resolution size can also be customize to suite your choice display, the more the customization, the more the battery consumption. 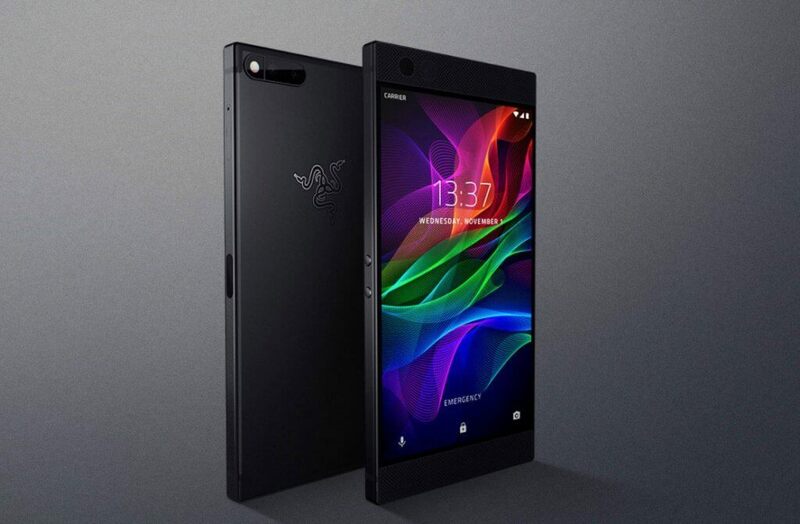 The Razer phone is also the first smartphone to support qualcomm quick charge 4+ tech, Razer fans in Nigeria can buy and charge this phone for an hour and expect up to 85% battery life. The Razer phone comes with a dual 12MP rear camera, f/24 telephoto lens and 8MP front camera with wide-angle at f/1.7. the camera on this phone is not that impressive, it has a simple camera UI with no manual or pro mode hmmm…..(more on this later). The Razer phone comes with a pre-installed Android 7.1.1 with expected upgrade to android 8.0 oreo in 2018. Razer really did a great job in selecting nova launcher as the stock launcher of the razer phone. The nova launcher looks very much identical to stock android. 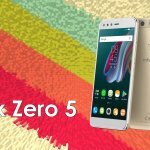 It comes with great customization options for app icons, wallpaper, notification on settings and sound menu, free themes and many more. The nova prime launcher is free for download exclusively on Razer phone(opps!). The Razer phone can also be double-tapped or simply lifted to wake it up. Under the hood of the Razer phone is a snapdragon 835 chipset, a whopping 8GB of RAM which is accompanied by a 64GB ROM with an expandable storage of up to 2 terabytes via micro sd card. 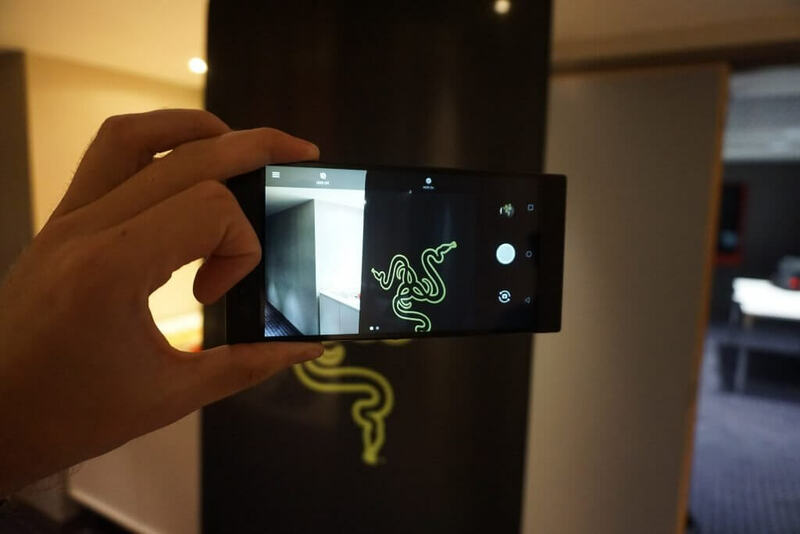 Razer cliams the additional memory is okay for the phone because it allows users run multiple high-power apps with no lag or slow down. The Razer phone is indeed an exceptional gaming smartphone with stella performance, excellent speakers , vibrant display, great battery life, massive storage capacity, a one time 120Hz refresh rate with a gaming experience one can’t easily forget. 3. The auto-brightness are inconsistent, vibration moto is wack and it is not water resistant. 4. The Razer phone which weighs 197g is quite heavy and is also not convenient to carry around inside your pocket. 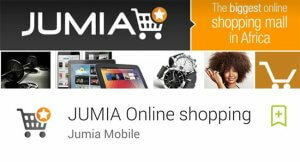 Razer fans who are interested in this phone in Nigeria have no alternative than to deal with this. 5. Let’s talk about the camera: The camera quality on the Razer phone is very poor for a phone that is worth $699. The shutter speed is slow even in HDR, the color cast and white balance are unusual and inconsistent, photo quality is poor on low light, the dynamic range is weak. We all know that gamers don’t care much about camera quality on a phone but don’t you think a $699 should at least be able to take some nice shots rather than just gaming alone. If camera is one of your main focus on a smartphone, this phone is definitely not for you. The camera can be improved via software update anyway. 6. There is no recording option for gamers to capture live streaming gaming experience on the game booster app. 7. There is also no dedicated game app store for games with exceptional gaming experience on the razer phone; one would just have to tour round google play store searching for games with frame rate unlock that would perform greatly on the Razer phone beacuse there are no indications as to which game will display greatly on the gaming prowess. Razer said they are working with some game developers like THX to help make their games responsive on the 120Hz view.